The 2018 TaylorMadeTP5x is their latest tour level ball. The new ball features a Tri-Fast Core and Dual-Spin Cover made of urethane to maximize distance from the tee and control around the green. The 3-layer core and progressive compression enable the TP5x to be the most complete tour ball while still having a soft feel. 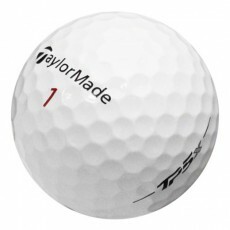 Taylormade TP5x Golf Balls are perfect for golfers of all skill levels with moderate swing speeds around 90-105 mph.